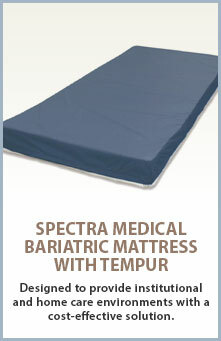 The Spectra Medical Distribution Healthcare Mattress w/TEMPUR® is designed to provide institutional and home care environments with a cost-effective solution for superior patient comfort and a high level of pressure management. 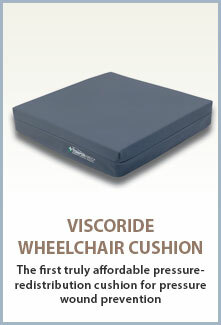 Constructed of TEMPUR material, our non-powered, maintenance free mattress has been clinically demonstrated to be effective in the prevention and treatment of pressure ulcers. 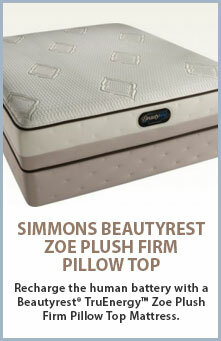 Superior pressure management reduces costly disposables and specially bed/overlay rentals. 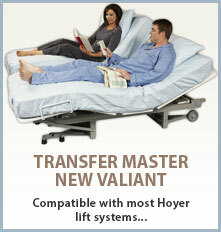 Available in standard, custom, and bariatric sizes. Warranty does not include delamination (cracking/peeling) of the polyurethane layer of the cover or contamination of the core as a result of cleaning with chlorine based or improperly diluted hospital grade solutions. Warranty does not cover damage to the core as a result of cover misuse.